While Democrats are pushing the "Green New Deal" - requiring unprecedented funding - while simultaneously rejecting Donald Trump's requests for increased border security funds, details of a "loan" that was granted to Nancy Pelosi's brother-in-law have emerged, further highlighting the Dems' hypocritical use of taxpayer money.When it comes to liberal causes, it seems that the pot of taxpayers funds is never-ending, as Pelosi's husband's brother, Ron Pelosi received $737 million (737,000,000 US dollars!) 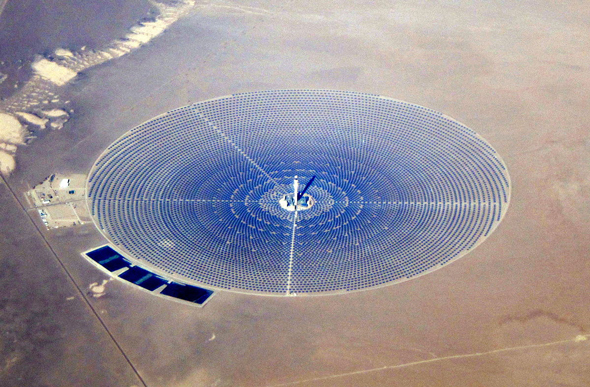 in 2011 from the Obama Administration as a "Green Energy Loan" to build a solar energy power plant in the Nevada desert which has since failed.The massive loan agreement was granted despite growing concerns at the time about the use of taxpayers' money as vast sums were invested in technology similar to that of the doomed Solyndra energy project.The $737m handed to Ron Pelosi's Crescent Dunes project in Tonopah, Nevada, for a 110-megawatt desert solar power plant, was approved by the Obama administration just days after the failed Solyndra project filed for bankruptcy before it was due to be completed. 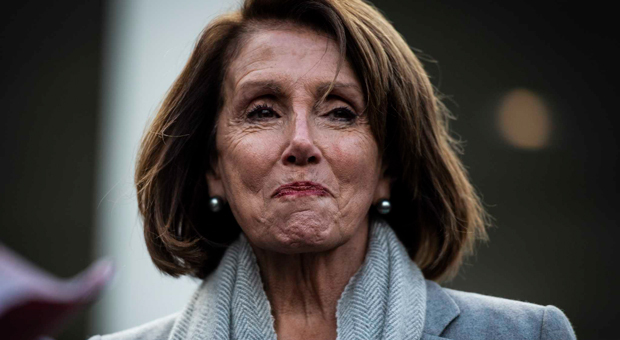 Despite warnings, the "loan" for then-Minority Leader Pelosi's brother-in-law's company was granted, and the ground was broken on the plant's build in 2011.Construction was completed at the end of 2013, followed by several months of testing the plant systems. It returned to operation in July 2017.While its average monthly production was expected to exceed 40,000 MWh, as of October 2018 it only exceeded half of that value during 8 months.At the plant's current rate of energy production, it's unlikely that any of the "loan" will ever be paid back. PCG Clean Energy & Technology Fund (East) LLC is listed as one of the investors in the project that was given the staggering loan, which even dwarfs that given to failed company Solyndra.Other investors include one of the major investors in Solyndra, which is run by one of the directors of Solyndra.Steve Mitchell, who served on the board of directors at the bankrupt energy company, is also managing director of Argonaut Private Equity, which also invested in the Pelosi project.Since Solyndra filed for bankruptcy executives of the firm were asked to testify about the goings on at the company by two members of the House and "asked to provide documents to Congress. "The doomed Solyndra project also cost the taxpayer $528 million from the same cash pot. When Michelle Obama's brother was a coach at Oregon State University a professor there got a 3 million dollar grant from the Obama administration to study African grandmothers. Anthony Dean Rodham (born 1954) is an American consultant and businessman who is the youngest brother of Hillary Rodham Clinton, and the brother-in-law of former U.S. President Bill Clinton. His business dealings have sometimes appeared to take advantage of his connections to the Clintons and accordingly have sometimes attracted public scrutiny. Jimmy Carter’s brother Billy became a national embarrassment when he registered as a foreign agent of the Libyan government and received a $220,000 loan during his brother’s White House years.